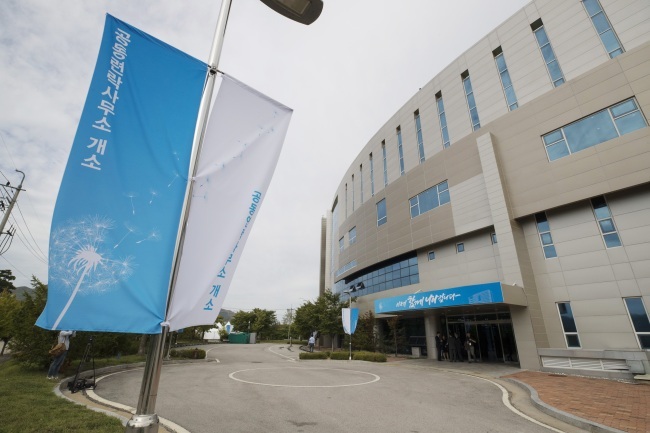 North Korea’s state media briefly reported Saturday on the opening of a joint inter-Korean liaison office, a day after a ceremony was held to mark its official launch in the North’s border town of Kaesong. The leaders of the two Koreas agreed to launch a joint liaison office in their April summit to facilitate inter-Korean cooperation on various fronts. Its launch came days before they met in Pyongyang for their third summit. Vice Unification Minister Chun Hae-sung was named to serve as a co-head for the office, along with Jon Jong-su, a vice chairman of the Committee for the Peaceful Reunification of the Country, a North Korean agency in charge of inter-Korean exchanges. South Korea will station around 20 officials there, while the North will deploy 15-20 officials to the office.